Emissions related to commuting by faculty, staff, and students are included in the University's carbon footprint calculaton each year. In an effort to reduce the need for vehicles on campus, the University offers great support for sustainable transportation. Recreation & Wellness manages a 50-bike fleet of Green Bikes, which are available for free on a first-come, first-serve basis. Covered bike parking, access to showers, and 33 bike racks spread across campus facilitate biking to and from campus. 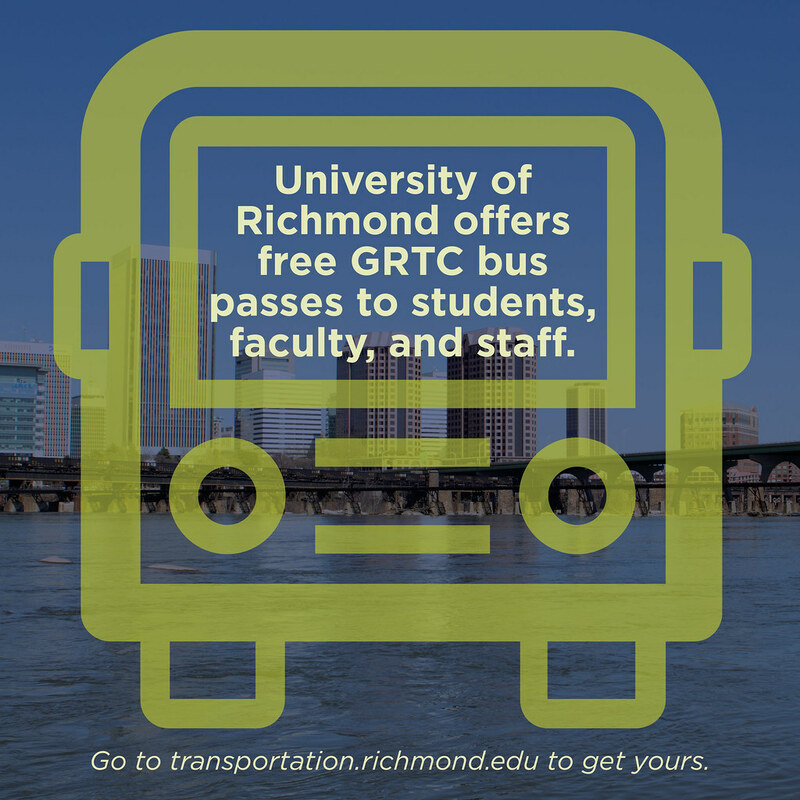 All full-time faculty, staff, and students may obtain a bus pass for ridership on the city of Richmond mass transit GRTC, paid for by the University of Richmond. University of Richmond also has free campus shuttles that leave from campus on consistent intervals throughout the day to transport faculty, staff and students to destinations throughout the city of Richmond. We partner with RideFinders to assist with carpooling and offer car sharing through the 5 Zipcars. 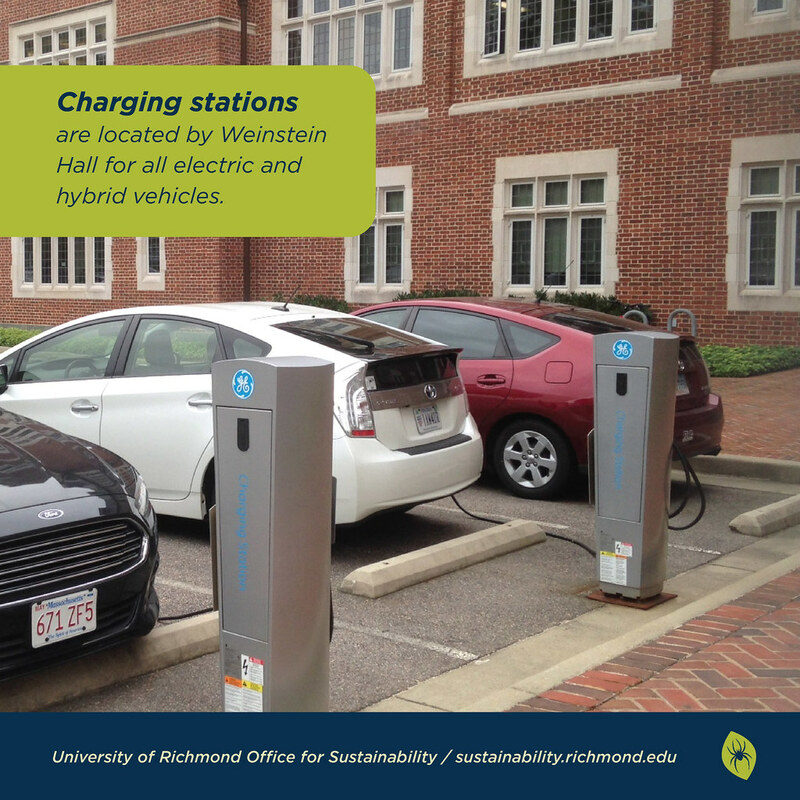 For members of the campus community with electric vehicles, we have charging stations located in the parking lots by Weinstein Hall and the Queally Center. 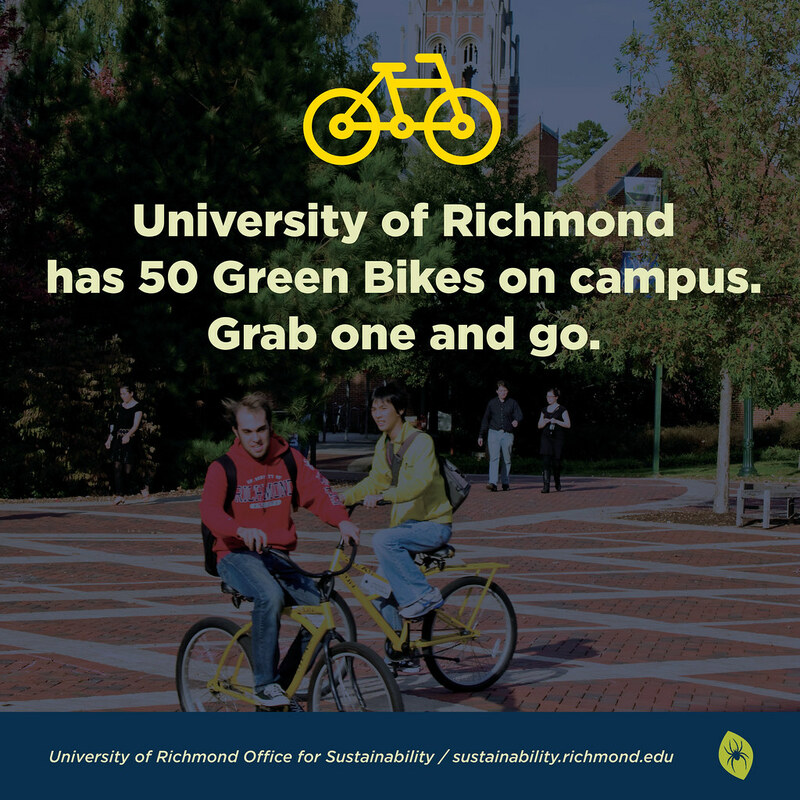 Get more information about sustainable transportation options on campus here.